This new edition is written in a modularized format. Each module is a self-contained study unit consisting of a set of survey questions, an introduction to the module, the body of text, and a summary section. This edition Incorporates coverage on biological views, classification of psychological disorders, adjustment disorders, and acute stress disorder. 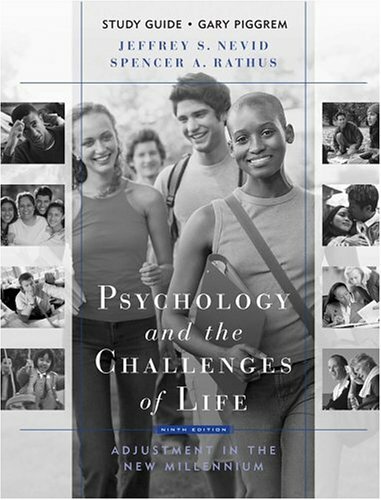 Focuses on issues of contemporary concern ("coping with the threat of terror") and concerns that address the needs of the nontraditional student (parenting, time management, acculturative stress, returning to school, etc. ).